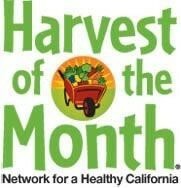 Harvest of the Month is a program in which students try a different fruit or vegetable each month in the classroom. Along with the produce, teachers receive educational materials with information such as the nutrients, history, and recipes. Studies show that healthy eating and daily physical activity have a profound impact on the body and mind by improving the ability to learn and comprehend, boosting energy, improving school attendance and changing attitudes, behavior and more. Harvest of the Month provides materials and resources to support healthy food choices through increased access and consumption of fruits and vegetables as well as encourage daily physical activity. It uniquely supports core curricular areas through exploration and study. Harvest of the Month presents a strategic opportunity to bring together the classroom, cafeteria, home and community to promote a common goal and healthier habits for students, especially those in low resource schools. access to fruits and vegetables through school meal programs, classrooms, school gardens, farmers’ markets, grocery stores, community gardens, etc. preference for selected produce items through classroom activities, such as taste testing, cooking in class and school garden activities, and through menu offerings in the school meals program. participation in daily physical activity and understanding of why it is important. knowledge of and familiarity with California grown fruits and vegetables and the rich agricultural bounty of the State. Nutrition Services provides teacher packets made specifically for MUSD. The California Department of Public Health provides educational materials created for California schools and communities.